CHAMPAIGN, Ill., October 3, 2018 – A new grant from the National Science Foundation will put a University of Illinois business professor at the forefront of the public policy debate when it comes to technology and Wall Street. 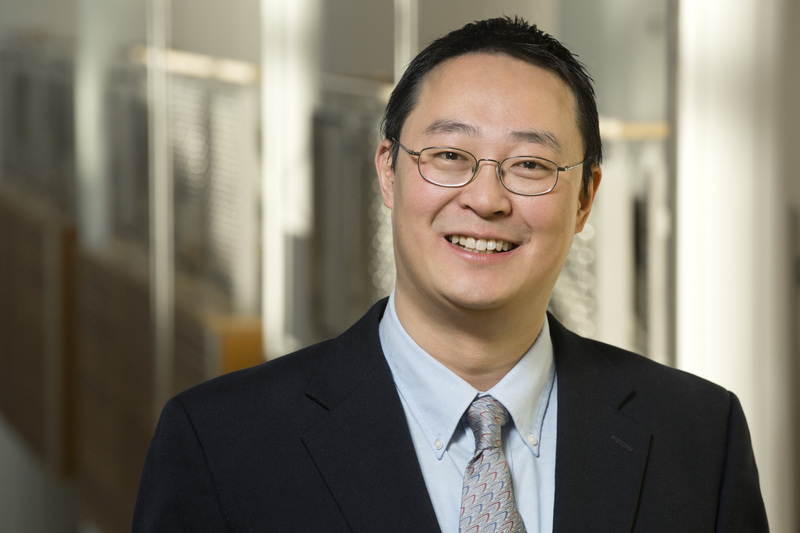 Mao Ye, associate professor of finance at Gies College of Business, has been awarded a $422,288 grant over four years from the National Science Foundation to further research that could lay the groundwork for important public policy changes on Wall Street. Fellow Gies Business professors Alex Chinco and Adam Clark-Joseph are co-Principal Investigators on the project. The National Center for Supercomputing Applications on the University of Illinois campus will receive another $400,000 to help store and analyze relevant data. John Towns, Executive Director of Science and Technology at NCSA, will serve as the Principal Investigator for the Extreme Science and Engineering Discovery Environment (XSEDE) portion of the project. Federal regulators are already beginning to make adjustments, but more work needs to be done. Professor Ye’s project, “BIGDATA: IA: Collaborative Research: Understanding the Financial Market Ecosystem,” seeks to break new ground in exploring the technological influence on the stock market. It will specifically focus on high-frequency traders (HFTs), which are computer algorithms that buy and sell stocks in nanoseconds, and the impact they have on the stock market. According to Ye, all research to this point has focused on the dichotomy between HFTs and human traders. As Ye points out though, that research is not complete enough. Simply lumping all HFTs into one basket is not a thorough representation of the market landscape; HFTs now trade at all different speeds and with varying frequency and complexity. His research will help experts and policy-makers understand the full spectrum of cyber-trading. He will also organize a series of National Bureau of Economic Research workshops and conferences to support similar work in the research community. NSF grants are awarded based on two factors: intellectual merit and broader impact on society. Ye’s BIGDATA project aims to bridge the gap between research on HFTs and institutional investors who rely on quarterly holdings data. It’s the potential broader impact, though, that could have the most lasting effect. These high-frequency traders have been blamed for flash crashes that have happened in the stock market over the last decade, and there is growing debate as to whether more regulation on HFTs would prevent future crashes. Ye’s research will lay the groundwork for future public policy as it relates to cyber-traders in an era of big data. Ye’s expertise on this topic is already gaining national attention. He gave the keynote speech “Big Data in Finance” at the National Bureau of Economic Research Summer Institute. He was also chosen to be part of the SEC-NYU Dialogue on Securities Market Regulation on September 21. There he participated in a panel moderated by SEC Commissioner Elad Roisman on the topic of market-making, automation, and the potential for disruptive trading.